February 28, 2019 - This is the first video documentation of a large mygalomorph spider preying on an opossum. While surveying in northern Peru, a team of scientists from University of Michigan found a tarantula dragging a young opossum along the ground. The team was studying interactions between arthropods and small vertebrates in a lowland Amazon rainforest. The study found that arthropod predations accounted for a surprising amount of mortality amongst Amazonian vertebrates. 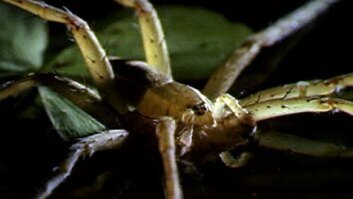 Amazonian spiders tend to rely on modified jaws, massive fangs, and venom to capture vertebrates. 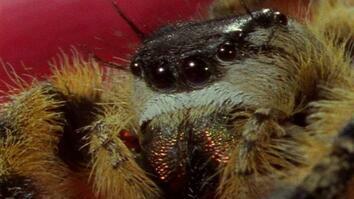 Read "First-ever video shows a tarantula eating an opossum." This is the first video documentation of a large mygalomorph spider preying on an opossum. While surveying in northern Peru, a team of scientists from University of Michigan found a tarantula dragging a young opossum along the ground. The team was studying interactions between arthropods and small vertebrates in a lowland Amazon rainforest. The study found that arthropod predations accounted for a surprising amount of mortality amongst Amazonian vertebrates. 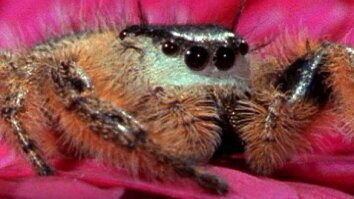 Amazonian spiders tend to rely on modified jaws, massive fangs, and venom to capture vertebrates.